Submitted 1 year 4 months ago by TD_Cowboys. 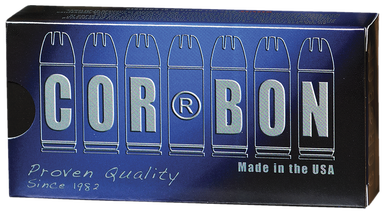 Corbon's Performance Match ammunition provides you with the leading edge in accurate target and competition ammo. Cor-Bon uses the most accurate bullets available. The combination of reduced recoil with the lower muzzle flash and smoke of this Performance Match ammunition will give you the confidence to become a champion.